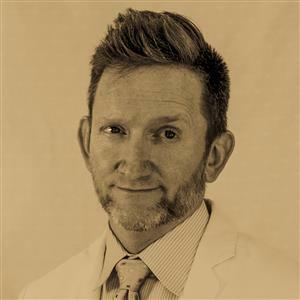 Dr. Mark Reid @medicalaxioms is the face behind the brilliant and hugely influential source of medical wisdom, the Medicalaxioms account on Twitter. Here’s Mark’s biography – in his own words. “I was born and raised in a suburb of Cincinnati, Ohio, the son of an industrial factory manager and a geologist. I was educated by jesuits at St. Xavier High School and studied chemistry, studio art, rowing and bicycle racing at Williams College in western Massachusetts. Subsequently I spent a few years as a bicycle messenger, ambulance driver, and lab tech in Washington DC. I went to medical school at Case Western Reserve in Cleveland, Ohio and did Internal Medicine residency and a year as a Chief Medical Resident at the University of Colorado in Denver. After a few years in private practice, I returned to Denver Health—the county hospital where I had done my training—to join the faculty as a hospitalist.